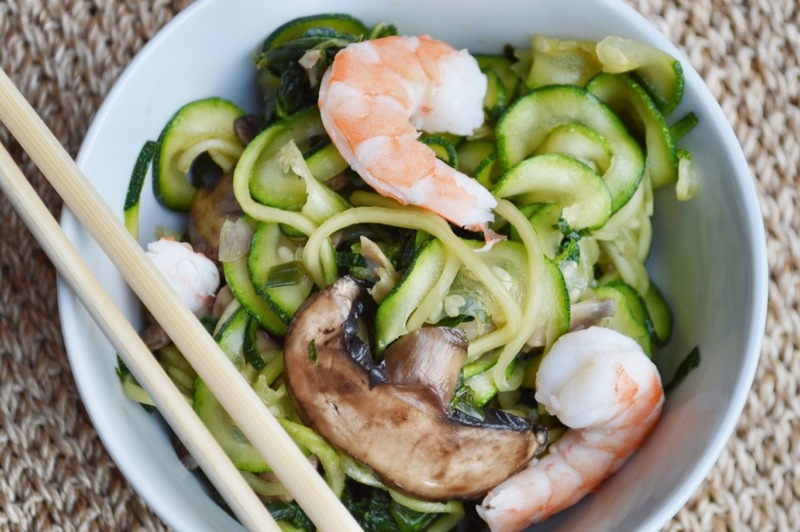 Spiralize zucchini and place them in a large serving bowl, then set aside. Heat sesame oil in a large skillet over medium heat. Add garlic and cook for 1 minute. Add bok choy, scallions and coconut aminos and cook 3 to 5 minutes, until greens are wilted and stalks are crisp-tender. 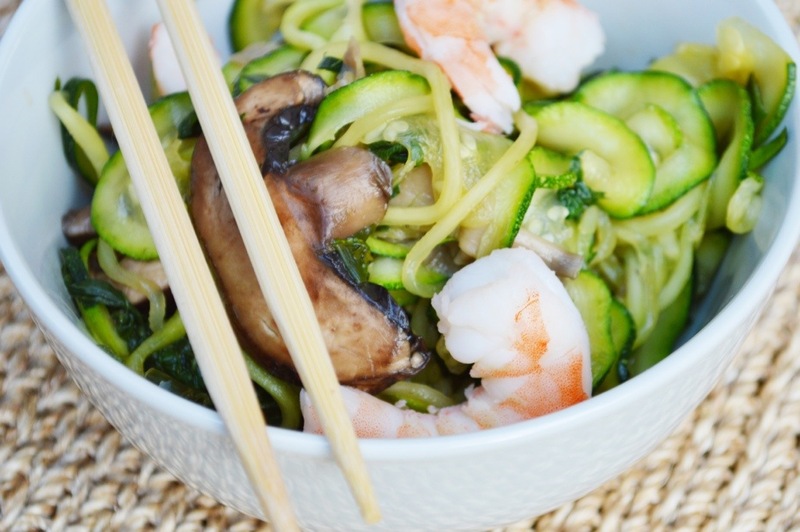 Add the greens to the bowl of zucchini noodles, followed by the cooked shrimp. Mix together. Season to taste with salt and pepper, or additional coconut aminos (if desired). Yum! Looks terrific, been looking for more ways to use bok choy.